Long March 5, China’s most powerful rocket, will be tasked with lifting the country’s future Space Station modules and expand China’s Geostationary launch capability. Liftoff is officially set for ‘early November,’ with November 3 appearing to be the specific target according to various reports. The test flight is carrying to orbit the Shijian-17 experimental satellite that will complete a demonstration of electric propulsion for future use on Chinese Geostationary Satellites. Long March 5 combines four liquid-fueled Kerolox Boosters with a two-stage cryogenic stack to lift up to 25 metric tons into Low Earth Orbit and 13,000 Kilograms to Geostationary Transfer Orbit – a performance comparable to the European Ariane 5 and American Delta IV Heavy Rockets. 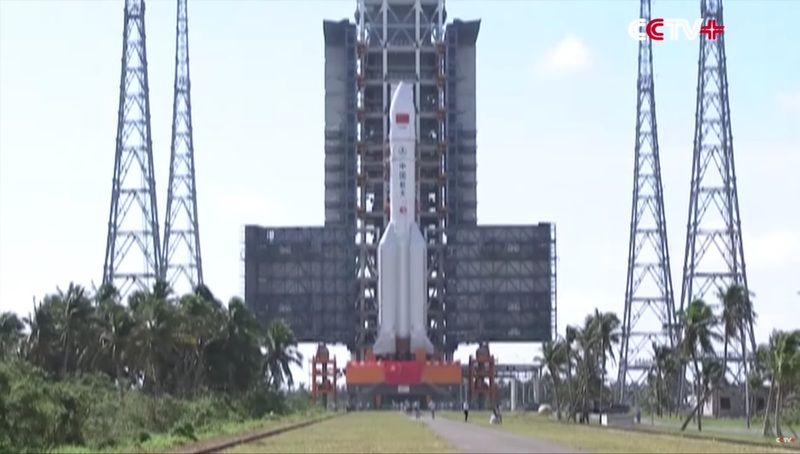 This marks the fourth new orbital launch vehicle introduced by the Chinese in the space of just 14 months. Back in September 2015, China debuted the Long March 6 as the new small-class launcher in the new series of rockets followed by the all-solid-fueled Long March 11 optimized for microsatellite launches. 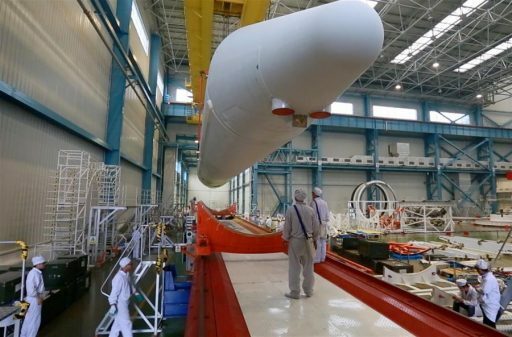 Long March 7, expected to be the future workhorse of the fleet as a medium to heavy-lift orbital launcher, flew for the first time in June 2016 and will ultimately handle a broad spectrum of missions from Low Earth Orbit cargo runs to Geostationary Launches. Long March 5, taking the spot of the heavy-lifter in the new fleet of rockets, will be called upon for launches of China’s future Space Station Modules, heavy Geostationary Satellites and interplanetary probes such as the Chang’e lunar sample return missions penciled in for launch in the coming years. 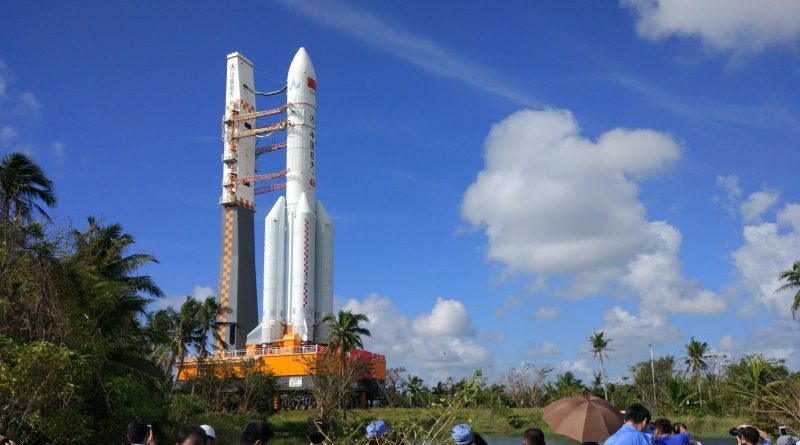 The introduction of China’s new line of launch vehicles also marks a major change in rocket technology – switching from hypergolic-fueled vehicles to more more efficient and environmentally friendly Kerosene and cryogenic propellants. Also, the new launchers use modular systems and common components as a cost-saving and simplification measure, allowing for a quick build-up of flight heritage and permitting a streamlined production to support an ever-growing number of missions. 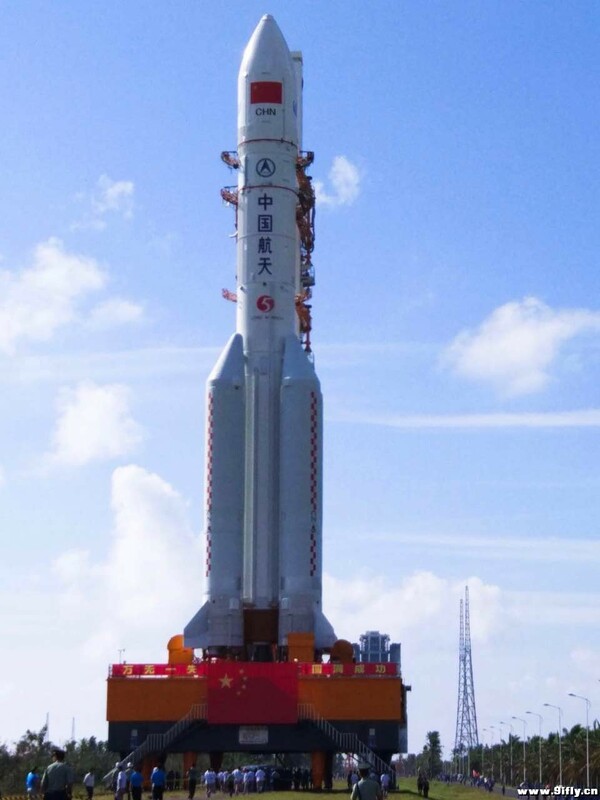 The Long March 5/6/7 series will replace the current CZ-2/3/4 launch vehicles once fully established as reliable launch vehicles in the 2020s, though the crewed Long March 2F version is likely to fly until the 2030 time frame before crews switch to the CZ-7. The need for new launch vehicles arose in the early 2000s when a trend of launch requirements to medium- and heavy-weight payloads emerged. For future space projects, China will need regular Low Earth Orbit missions of crew and cargo vehicles, continued access to Sun Synchronous Orbit for civilian and military satellites, and a capability of lifting heavy payloads to high-energy orbits and beyond Earth orbit for Solar System Science. The existing launchers are on the lower end of the performance needed for these missions and the goal of the new line of rockets is to establish a safe, reliable, flexible and economical space launch architecture. Studies of what would become Long March 5 were first started in the 1990s, but development was not put in motion until the second half of 2007 with the China Academy of Launch Vehicle Technology (CALT) responsible for the development effort. 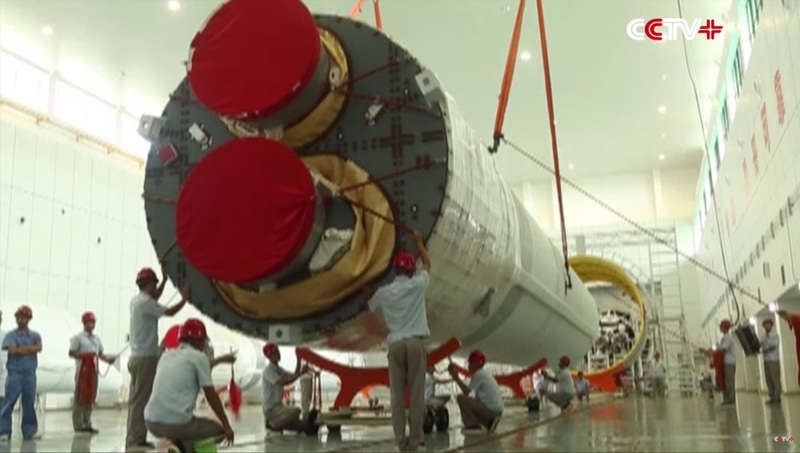 The first Long March 5 test article arrived at the Wenchang Satellite Launch Center on Hainan Island in September 2015 for testing of the new launch pad and ground support equipment in a series of fit checks and fueling drills. In late August 2016, the first flight-ready CZ-5 was delivered by ship from its manufacturing facility in Tanjin to undergo final assembly for an early November liftoff. Long March 5, in its two-stage version, stands 57 meters tall and has a launch mass of 867 metric tons, featuring four Kerolox boosters and two cryogenic rocket stages. 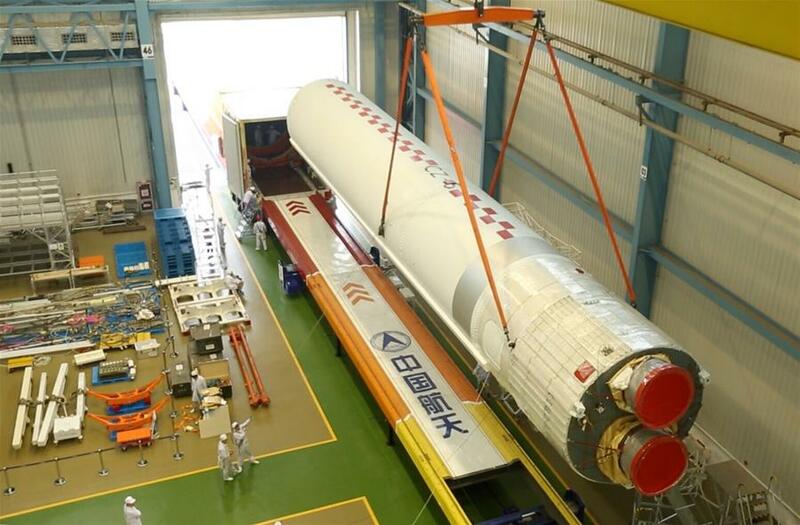 Each of the 27.6-meter long boosters is outfitted with a pair of YF-100 engines that build the cornerstone of China’s Kerolox rocket architecture, also in use on the CZ-6 and 7 rockets. The core stage, standing 33.2 meters tall and 5m in diameter, hosts two YF-77 cryogenic engines, giving the Long March 5 a total liftoff thrust of 1,066-metric-ton-force. The four boosters will burn for just under three minutes before separating from the core stage that continues firing until around eight and a half minutes into the flight. 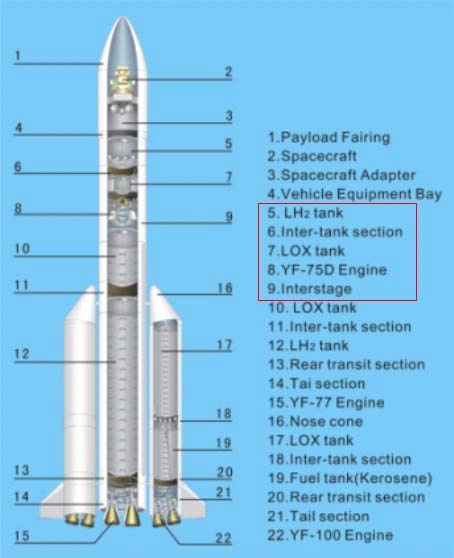 Assuming control of the flight next is the second stage, holding around 26.5 metric tons of propellant for consumption by a pair of YF-75D engines – third generation upper stage engines based on a design flown on the Long March 3 series. Stage 2 can be ignited multiple times to support complex mission profiles. Long March 5 can be outfitted with an additional Yuanzheng-2 Upper Stage for extended mission profiles such as direct insertion into Geostationary Orbit. CZ-5 is also available as a Single-Stage-To-Orbit Vehicle, omitting the second stage and eliminating any in-flight ignition events. Next week’s test flight will gather a wealth of in-flight performance data from all subsystems of the Long March 5 for detailed analysis to ensure predictions for all flight environments match what is seen during the mission. At present, there is no information on the target orbit and flight profile for the maiden flight of the Long March 5. Long March 5 is likely to enter operational service in 2018 with as many as three launches during that year – lifting the Tianhe Core Module of China’s large modular space station, the Chang’e 4 lunar lander and rover aiming for a landing on the far side of the Moon, and the Chang’e 5 sample return mission that will retrieve a drill core sample from the lunar surface and return it to Earth. The CZ-5 test flight hosts Shijian-17 as its main payload, any secondary payloads have yet to be identified. Shijian (=Practice) is a technology applications test program that was initiated back in 1971 with the launch of Shijian-1 outfitted with a basic instrument suite. Over the years, a wide variety of missions was flown under Shijian, including technical demonstrations that led to the inauguration of spinoff programs in Earth-observation and intelligence-gathering. Shijian-17 will complete an in-flight demonstration of electric propulsion technologies. Employing the Long March 5 as launch vehicle suggests the satellite will be aiming for a Geostationary Orbit where it could also be used to test out a rendezvous and inspection architecture as was already demonstrated by the Chinese in a Shijian mission in Low Earth Orbit. 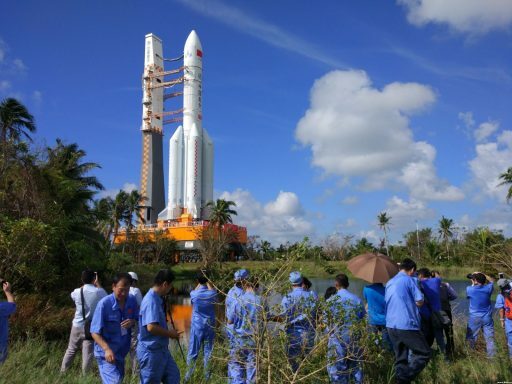 It has not yet been announced whether China will provide live video of the launch, though it can be assumed coverage will be similar to the Long March 7 test flight performed in June where a large crowd gathered on Hainan Island and extensive coverage was provided by Chinese news networks.